Why to “Envision Yourself” Will Lead You to Success? Are You Ready to Break Your Comfort Zone? Knowing Myrlis has been a blessing in my life professionally and personally. At the professional level I can count on her to answer any question I might have in my quest to become a better Network Marketer and Entrepreneur. She has the knowledge and experience I seek in a mentor. In reference of caring, I can count on her if I have the need to talk with someone on a personal level. She will listen to me if something is bothering me and I need a friend to talk to. Myrlis is the whole package. I truly enjoy the genuine nature Myrlis brings to her relationships. It has been a pleasure to have this lil’ gem to not only be a great friend but also an amazing woman who inspires daily and whom is always looking to help others out. She is as wise as they come and is a great mentor to help guide the way. As a new business owner I was looking for some guidance to include social media as part of my online marketing so I decided to have a coaching session with Myrlis. It was so powerful and helpful! She asked me questions that allowed me to see important aspects and things to consider before jumping into social media. The conversation we had helped me to organize my ideas and have a clearer vision of what I want to accomplish. She was very professional and friendly. I would highly recommend her coaching sessions. Honest, patient, outside of the box thinker, forward momentum… These are just some of the ways that Myrlis coaches, inspires and moves me to action. Her coaching is grounded and sound because she is also in the grind herself working the business so all of her experience comes from real time continual experience of growth in herself. We are not even on the same team, but she still supports me in the growth of my character and business and that is real leadership! I am honored and grateful to have her with me on this business and personal journey. 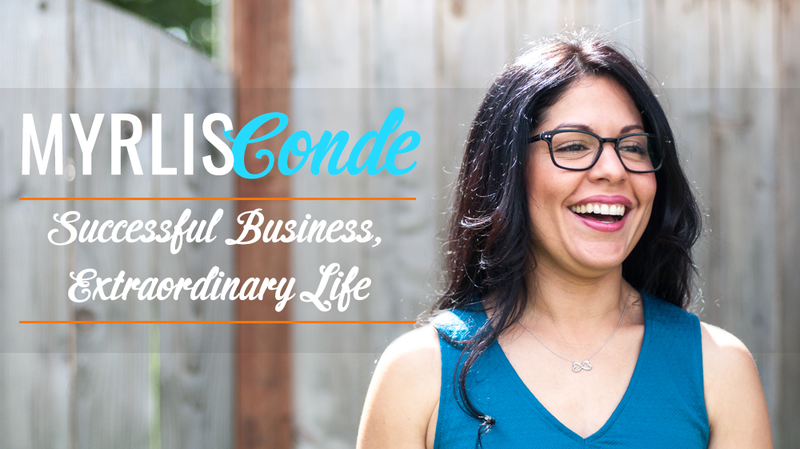 Myrlis Conde’s teachings, coaching and friendship have been a blessing in my life. They have helped me grow to a new level. She does an excellent job on teaching how to overcome obstacles in life, how to set goals and increase sales, how to build a team, how to manage your time, and so many other topics that she has covered that has impacted my life. I am grateful to be a student of her mentorship. She has a big heart for helping others. She truly does want to see you succeed. I highly recommend Myrlis! Myrlis has been an incredible friend and mentor. About a year ago I had the chance of meeting her through our business endeavors and we have been very close friends since then. Myrlis has helped me to increase my business and my career as an entrepreneur, to build confidence and to achieve some of my goals. I’ve grown so much since I decided to follow her path. Although we live miles and miles apart, she’s been always there for me. Her knowledge and leadership makes Myrlis an incredible person and I’m so lucky to have her as a mentor. One of the most inspiring Latinas I’ve ever met in my life, Myrlis has made a huge impact in the Latino community. I’m so glad I collaborate with people I can learn from. I will provide you with the Blueprint that has conducted me to succeed and my Vision is to help YOU reach Ultimate Success so you can live life on your terms.